This is a 10″ chocolate cake with a cherry pie filling. Then it is frosted with a chocolate ganache. If you aren’t familiar with ganache its basically heavy whipping cream mixed with chocolate. Yeah…hard to go wrong with that! 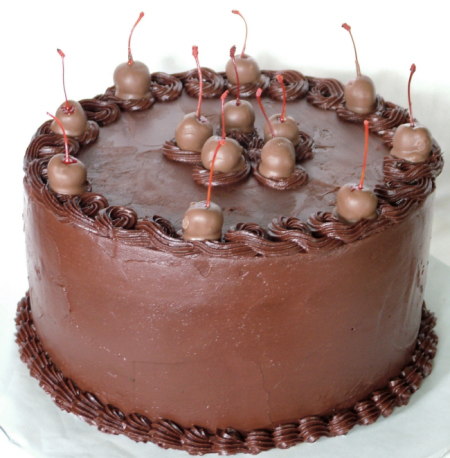 Then on top I added a few chocolate dipped cherries.